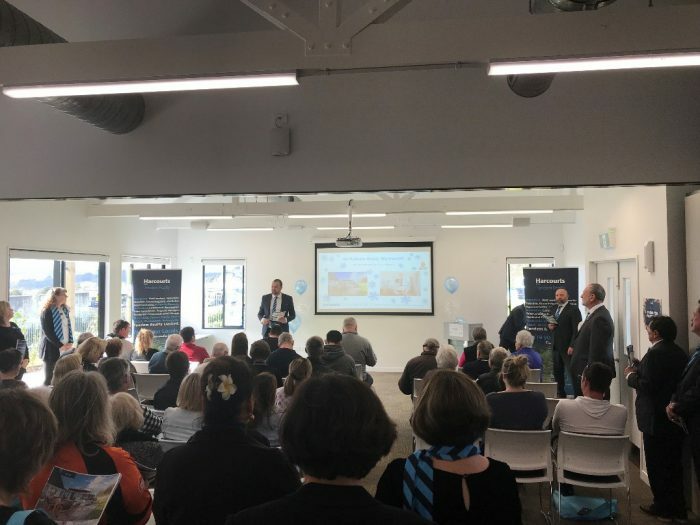 On Thursday 26 July, Warkworth came to life with a ‘Mid-Winter Auction Event’ organised by the team at Harcourts Tandem Realty Ltd. It was a day of excitement and entertainment, where we had hundreds of people from the town and surrounding areas in attendance. During the event, there was a love auction of 10 homes and as well as spot prizes, there was a thrilling auction for a New World Warkworth Dash ‘n Grab Shopping Spree which the team at Tandem Realty decided to club together and buy for $1000 and then donate to Warkworth Women’s Refuge. Director and Branch Manager of Harcourts Tandem Realty North in Warkworth and Snells Beach Amy Wagstaff said, “We wanted to bring the people of Warkworth, Wellsford and the local area together, both to have fun and also to raise some awareness and funds for the Warkworth Wellsford Hospice. The proceeds from the fundraising activities at the event will be donated to the Warkworth Wellsford Hospice, through the Harcourts Foundation and the $1000 shopping spree will be donated to the Warkworth Women’s Refuge. Harcourts Foundation is proud to support the Hospice New Zealand National Grants Programme.